Dewees Island is a nationally awarded sustainable land trust and wildlife refuge off the coast of South Carolina, twelve miles north of Charleston. This private residence of 3300 SF has typological precedents in "low country" vernacular architecture-material use, solar and wind orientation and climatological construction. The functions are stacked on three levels, the ground level having no habitable space due to potential storm surge considerations, the second level containing all the bedrooms and the upper level consisting of living, dining and an art studio. 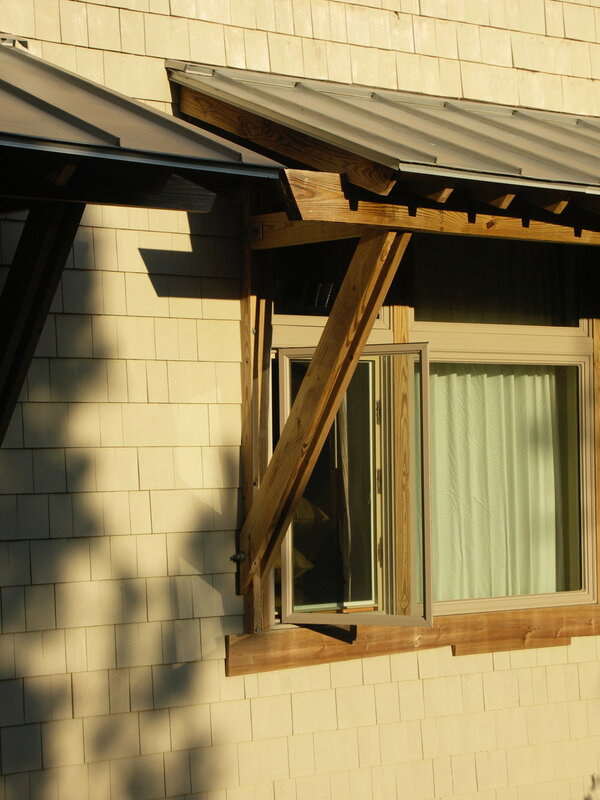 The narrow profile of the plan and deep roof overhangs allows for natural cross ventilation in any weather, as does the archetypal Charleston "piazza" or screen porch. Rainwater is stored in a cistern for plant watering and all non native plants are contained in planter boxes.